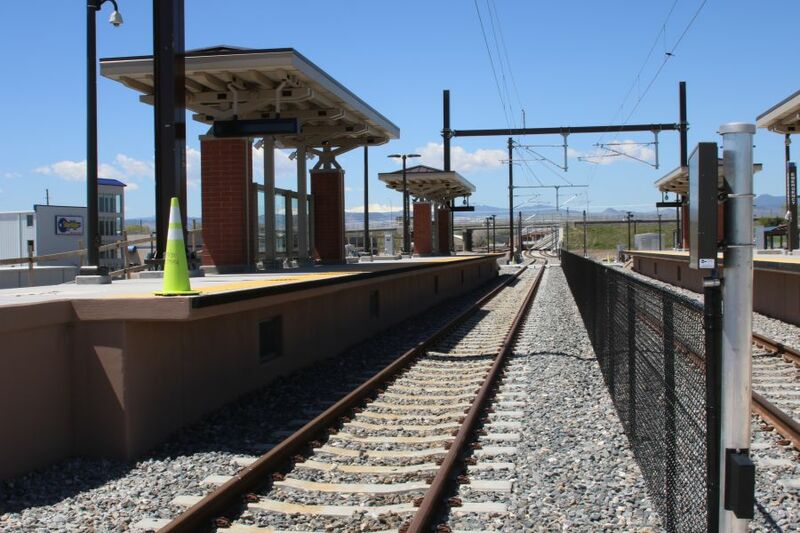 The Gold Strike Station, along the RTD G Line, provides an easy commute option for local employees, residents, and visitors. East Arvada, where the Gold Strike Station is located, includes industrial, residential, and agricultural areas. Sidewalk and bike lane improvements on 60th Avenue between Fenton and Wolff have begun. 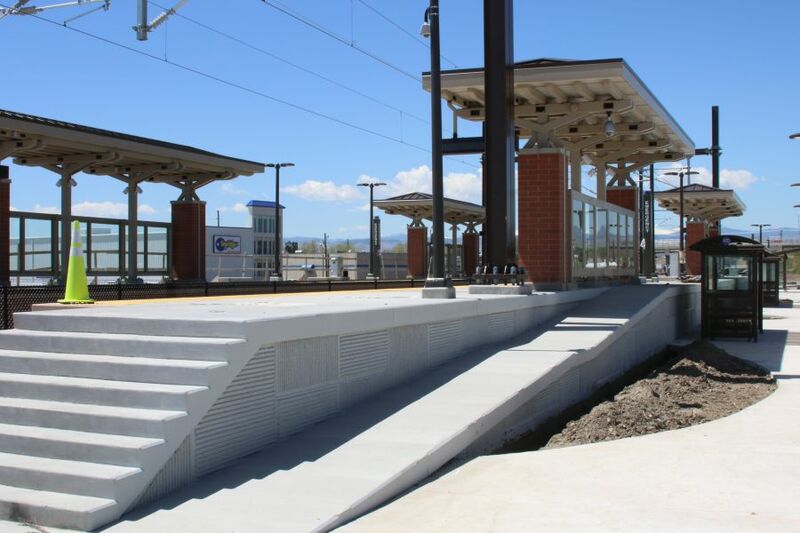 The art chosen for the Gold Strike Station is “Gold Pour” and commemorates the first documented gold strike in Colorado at the nearby confluence of Ralston and Clear Creeks. 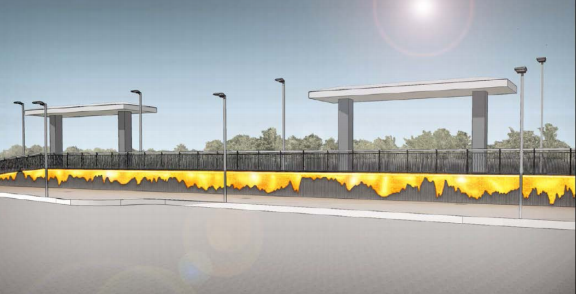 Shimmering gold made of glass and mosaic tiles will appear to pour over the Station wall. Paying homage to Arvada's history, including Colorado's first gold strike, artist Aaron T Stephan is creating the "Gold Pour" work. Explore the artist's profile on RTD's website or visit AaronTStephan.com to find out more about Aaron. Click on any image to see a larger version. If you're a member of the media needing high resolution images, please contact Sherry Nalbach at 720-898-7521. 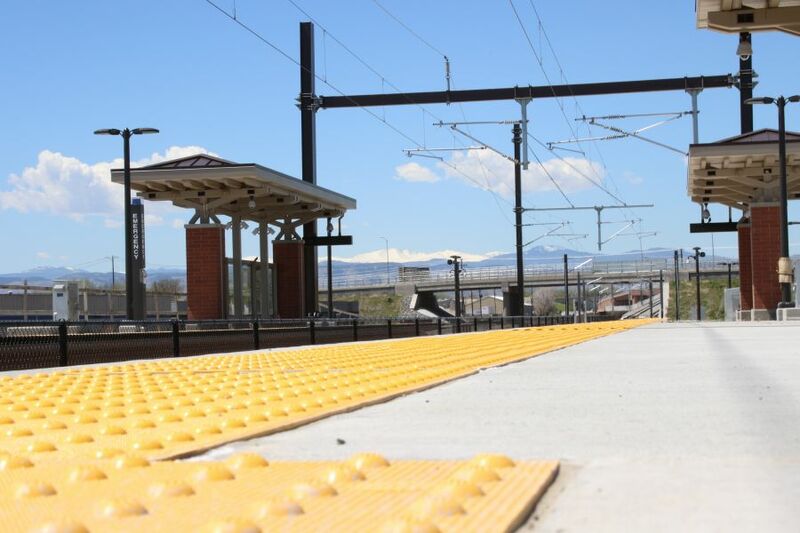 For information on G Line rail fares, schedules and connections, visit the RTD G Line website. Address: 10189 W. 53rd Ave.